Chaz's School Daze: Connecting The Dots Of Bad Principals. I'm pretty sure Dwarka was hired instead of the person recommended by the C-30 as well. The principals are following the example of the chancellor. As a principal she bragged about getting 80% of her staff to leave,transfer,retire... Well the principal of my school is on the same pace. In the first two years of her tenure, she has gotten rid of at least 60-70 %of the pedagogical staff. When this was pointed out to the district union rep (the chapter leader has also decamped) there was a resounding roar of silence. The UFT is complicit in this. They rely on the sheep-like attitudes of teachers and the fact that they are overwhelmed to do NOTHING. Where are the firebrands who once fought for members rights? Same pattern in Boston with principals and the union. Fish rots from the head down-DOE is smelling bad. Dwarka has destroyed a school. She is completely destructive and incompetent, she is driving good teachers out of the school. The UFT Queens office has collaborated with Dwarka to destroy a school, and many careers. Dwarka is trash and that why her life in all aspects is in shambles. We call that a good ole fashion deadbeat. My poop has more substance then that nasty town bicycle. We cannot understand how covering corruption takes precedence over sacrificing good teachers. 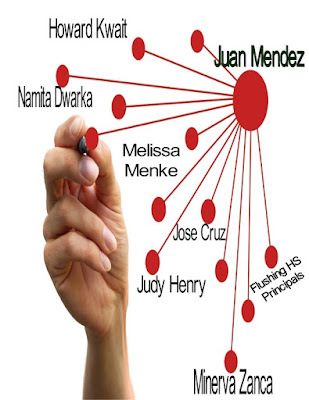 There are so many more Low Life Principals that Mendez has protected, you only scratched the surface! Let's add HS for Law Enforcement and Public Safety's (28Q690) Principal Laura Van Deren to this list. This sorry excuse for a human being is the worst of the worst and flies under the radar. She thrives on "getting" her staff rather than support them. There is no evidence that she ever underwent a C30, but somehow took over as principal after her best friend Diahann Malcolm retired. She set the school up for failure, yet posts signs congratulating the 200 students of a 500 student school who passed. She set up one of her APs and lied to SCI to get rid of him, creating false documents. That AP presented this evidence to Juan Mendez and he flat out ignored it. 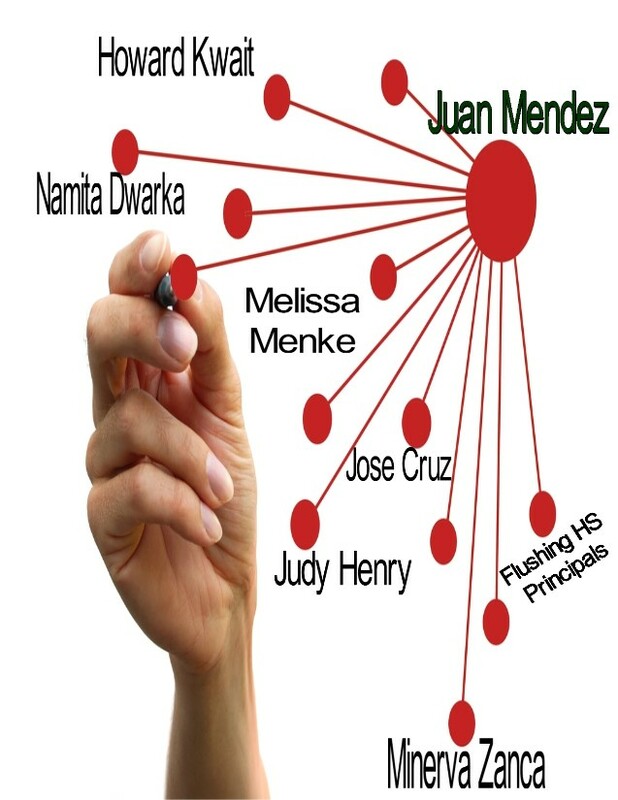 Once again, Mendez covered for another one of his corrupt principals. Meanwhile he is under investigation again for bypassing c30s and placing his friends and apparently his wife into positions they did not earn. His wife, Arlene Ubieta Mendez is currently under investigation. She was removed from stuyvesant for never going thru a c30. Mendez recently called in a favor and had her placed in a small hidden school near elmhurst. Unbelievable. Mellisa menake is a terrible principal. Teachers work there for a year and split over and over. The kids run the school and there is no accountability. Constant fighting and violence between students and abuse of teachers goes unreported. If someone were to investigate that school they would plainly see students are passed by doing one final assignment which is a joke or they get an online gym class to fufill requirements.